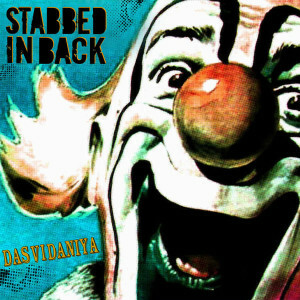 STABBED IN BACK TO RELEASE DEBUT FULL-LENGTH “DASVIDANIYA” ON DYING SCENE RECORDS, STREAM TITLE TRACK | Tommy Unit LIVE!! DYING SCENE RECORDS has just announced that on March 31st it will be releasing “Dasvidaniya”, the long awaited debut full-length from Albuquerque, New Mexico punk act STABBED IN BACK. Heavy and melodic with a touch of hard rock swagger, the release features twenty-four minutes of fist pumping punk rock anthems that are as aggressive as they are soulful. But don’t take our word for it, stream (and grab embed code for) the album’s title track right here! Digital pre-orders are available now on the Dying Scene Records bandcamp.